When it comes to lawn care, it’s not always easy being green. The tender of a home or business’s lawn may be ensuring that it gets adequate sunlight and enough water, but still see it struggle to maintain a healthy, verdant glow. The culprit may, in fact, be a lack of another thing associated with the color green: lime. The primary component of limestone is calcium carbonate. There are a great many types of agricultural lime with their own unique components, but they all contain this vital ingredient. The point of lime is to add calcium and other elements (dolomitic lime, for instance, also adds magnesium) to a lawn’s soil. Lime typically comes in two different consistencies: pulverized and pellet. Pulverized is the most common; it’s powdery and a little harder to manage. Pellet lime is more expensive, but it’s easier to lay down and overall less messy. Lawn, like any plant life, requires soil nutrients to grow. If a soil is too acidic, however, those nutrients will clump up and become incredibly difficult for a lawn to access. The nutrients are there; they’re just wholly inaccessibly to whatever’s trying to grow. A soil test can accurately judge the pH levels in the earth. Ideally, a lawn will score at or near 7.0 on the test. In this case, the lawn is “neutral” and should not have any problems getting nutrients to your lawn. If significantly below (especially below 6.0), then the lawn is too acidic and needs calcium to balance it out. If the lawn is deficient in calcium (or other related nutrient as indicated by the test), applying lime is the next step. Unfortunately, the process can be a tricky one and is best done with professional help. In this scenario, a lawn spreader will evenly distribute the appropriate lime substance across a designated area. This can be done during any time of year, but it’s most popularly done during the spring and fall—there tends to be less water-based interference in those seasons. 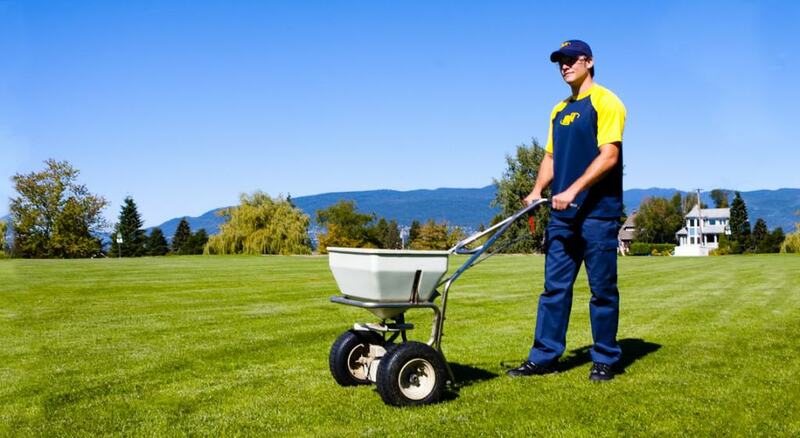 Once applied, the lime can take four to six years to properly calcify the lawn. Research suggests that it takes two years for the lime to move just two inches. Since it’s an otherwise slow process, it’s vital that lawn owners engage with professional help to make their lawn healthy. For more information or to get free quote, be sure to contact the BUR-HAN team today.